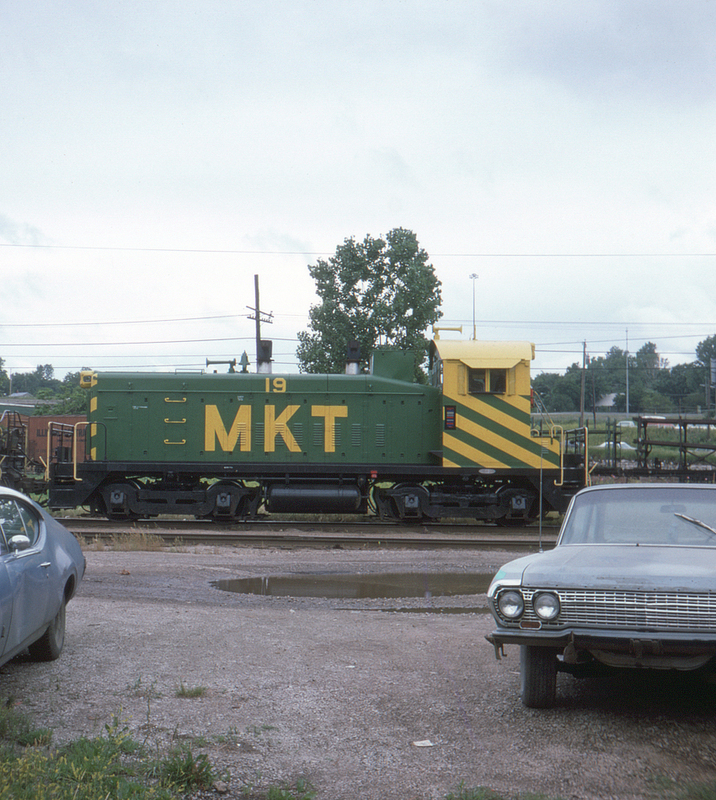 Here seen on Kansas City Terminal Railroad trackage is Missouri-Kansas-Texas switcher no. 19, looking fresh from the washer (or paint shop). This view is along Southwest Boulevard.